Among the world’s poorest countries, Niger struggles with a stagnant economy and a rapidly expanding population. Child marriage is prevalent and maternal mortality is high. 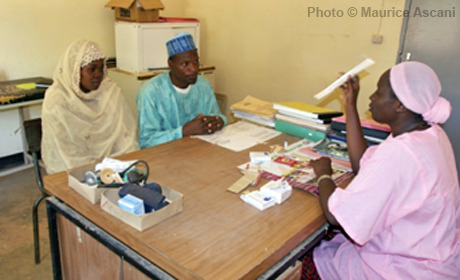 UNFPA began support in 1983 with programmes that help position family planning in national development plans and increase the quality of and access to reproductive health services. UNFPA assists with the production of demographic data, and encourages human rights norms in education, health and demography policies. The Fund’s work on gender equality helps to improve laws and responses to human rights violations, as well as the greater participation of women and youth in public decision-making.